This easy strawberry surprise will add an attractive and delicious side dish to your buffet table. Dissolve gelatin in boiling water. Stir in strawberries, pineapple, fruit cocktail, bananas and nuts. Pour half of the fruit mixture into a 3 quart mold and chill until firm. Leave the remaining mixture unrefrigerated and at room temperature. When the gelatin in the mold is firm, spoon sour cream over it. Carefully pour the remaining fruit mixture over the sour cream. Tip: For easier unmolding follow these easy steps. Make sure the jello is firmly set in the mold before you attempt to unmold it. 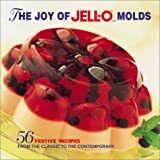 With moistened fingertips, gently pull the jello away from the sides of the mold. Place the mold in warm water for 15 seconds. Invert the mold onto a chilled serving dish. The mold should release itself easily.